Well, I guess it's about time I introduced you to our newest family member. 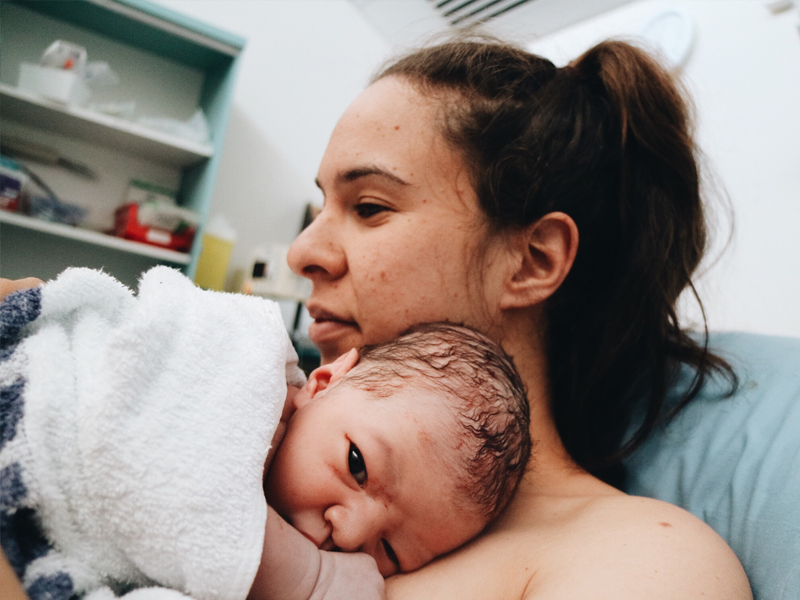 On Monday 11th December at 5.08pm, Jackson Manaia Key decided to enter the world after a twenty hour labour (thanks dude.) Weighing 8.6lb and measuring 54cm tall, he wasn't a small guy and needed a bit of help coming out. I blame his Dad actually. I think Rob's super chill personality may have trickled through to little Jackson who was obviously too relaxed to make a quick appearance. To be honest, we weren't too sure how the labour was going to go. Initially we were booked in to be induced due to Jackson being a wee IVF baby. I'm not going to go into why we opted for IVF (let's save that story for another day) but I was referred to an obstetrician who informed me that I would be induced at 40 weeks on the dot. 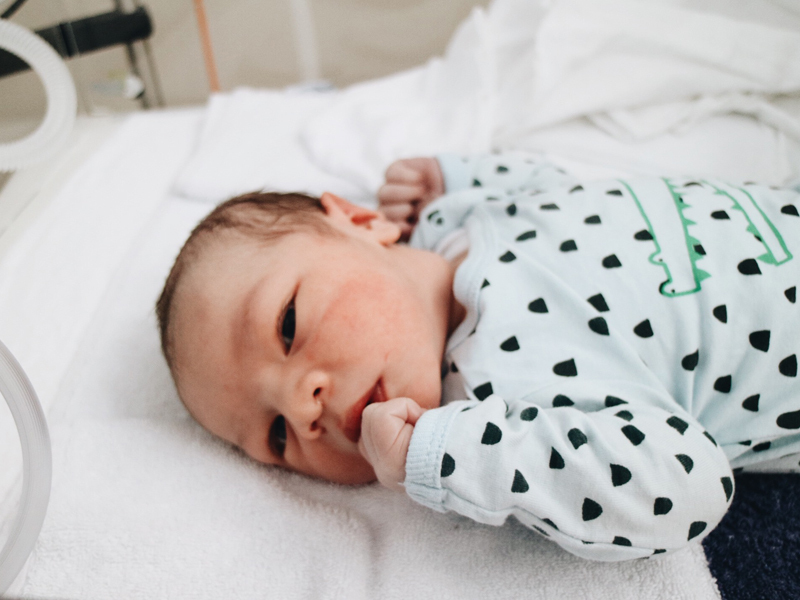 We were currently going to antenatal classes at the time and after hearing about induction and the medical interventions that usually go hand in hand with it, Rob and I weren't too keen but also weren't sure about the risks involved with IVF pregnancies. We did manage to push out the date to 40 weeks and 6 days - just to give us more of a chance to give birth in a more natural way. We did however go in at 40 weeks and 3 days, mostly because of how adamant the doctor was and we felt like we didn't want to take any unnecessary risks. Unfortunately it wasn't meant to be so on the Friday, we went in to be induced. I was all hooked up to the monitors, baby was looking good and we were just waiting to get everything started. Then another obstetrician came in. Basically, they wanted to know why I was getting induced because to them, an IVF pregnancy wasn't enough of a risk to be in there at 40 weeks. And according to the induction guidelines, the cut off is actually 41 weeks for IVF. Obviously, we were under the impression that we didn't really have a choice so to have a doctor come in and question what she thought was our decision was a bit confusing. There was a whole lot of umming and ahhhing... I mean, we had kinda geared ourselves up mentally to go ahead with it but then here was this amazing opportunity to forget about induction and really give natural birth a proper go. So! We went home. 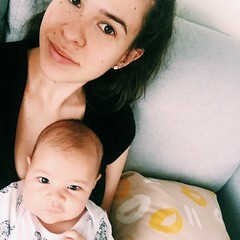 The doc basically said that there was a chance the induction wouldn't work because my cervix and baby's positioning wasn't as favourable as they had thought and I had just as much of a chance that I'd give birth naturally before having to be induced at 41 weeks. Although this was a total spanner in the works, I think we were both pretty grateful. Confused and a bit frustrated with the advice we were initially given, but hey - it all worked out in the end because on the Sunday night (two days later) I was on my way to hospital to give birth. 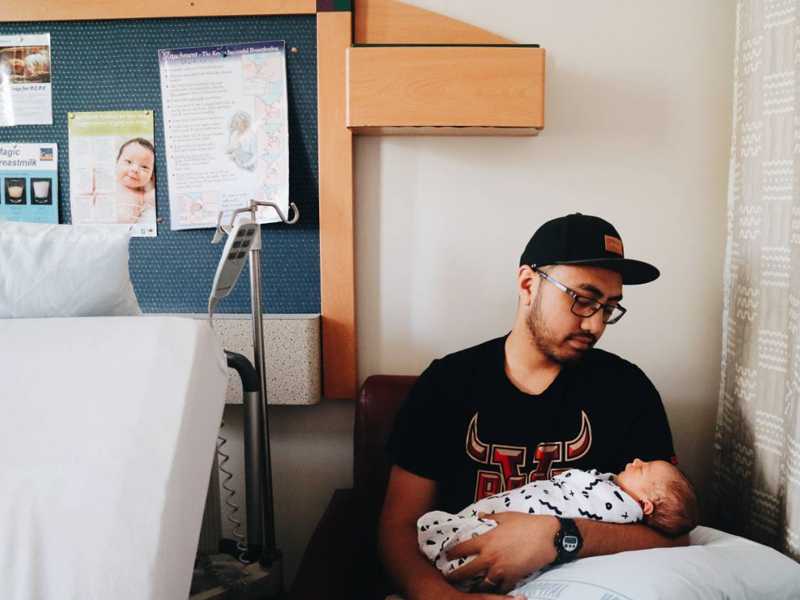 What then followed was twenty hours of awful contractions, dropping heart rates, talk of medical intervention and a crazy quick transition stage. I'd have to say that what started out as a pretty slow and stagnant labour ended up being a real whirlwind that I'm still a bit confused about. At 9pm on the 10th December, my contractions started - about 8 minutes apart and pretty sore but not too bad. At about 11.30pm we started timing them as they were getting closer together and were more intense. At 1.30am we were on our way to the hospital to see how far along I was, and you can only imagine how gutted (and a little embarrassed I was) when it turned out I was only 3cm dilated. Baby was posterior though, so each contraction came with the worst back pain, meaning my contractions were a lot stronger compared to how far I was along. 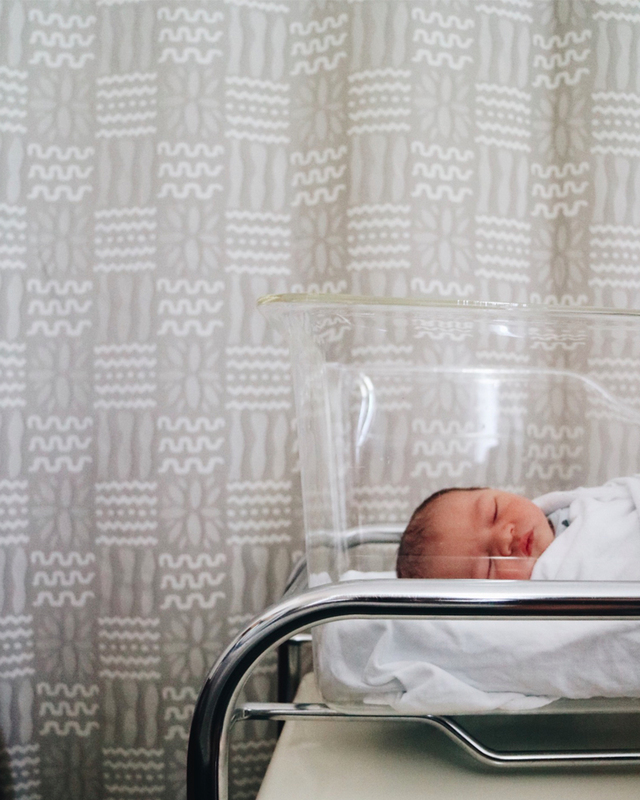 We were given the option to stay or come home, with my midwife suggesting that we try and rest at home. We'd probably be a bit more relaxed and the contractions were more likely to move along so up we got, heading home at about 3.30am. By 6am they had progressed, I was 5cm dilated and we were on our way back to the hospital where they got us set up in a delivery suite. From there, it took about 6 hours to finally progress to 7cm, so they were getting a little concerned with how long it was all taking, and even more so when they discovered I had actually gone backwards and was now 6cm dilated. We started talking interventions and the plan was to break my waters and then go ahead with augmentation which is where they give you the drip with the hormone to get everything going. My waters were broken at about 2.30pm and from there, things really ramped up. Once my waters were broken, Jackson kinda fell into place and we were away! But. I was on the gas, they were monitoring baby, and the contractions were the absolute worse so I have to be honest, it's all a bit of a blur from here. I do know that there was a lot of changing position, me begging Rob for the epidural, melt downs over him being on his cell phone (frantically trying to update everyone because it all progressed so quickly) and me swearing at him for not giving me my drink bottle fast enough. What I had thought was going to take 3-4 hours ended up taking one and before I knew it, I was trying my hardest to push that little guy out. I gave birth on my back, but honestly it was the last place I wanted to be. Due to the back pain I was having, and the bands around my tummy to monitor baby, I think it was just too much pressure so we were going between what felt comfortable for me, and what was safest for Jackson. And then they brought out the stirrups which resulted in me getting leg cramp (which is hilarious because seriously, labour is the last place you want to be suffering from a cramp ha!) But! 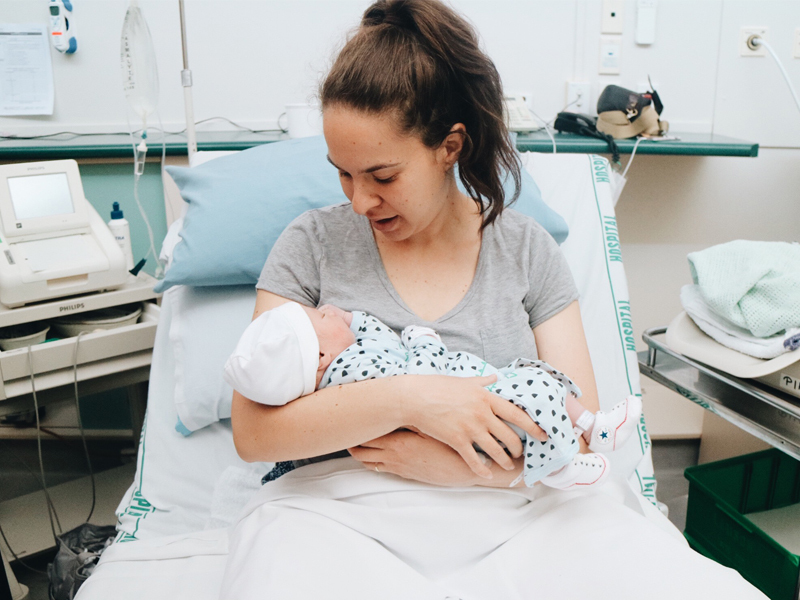 My body did as it should and before I knew it, I was following my body's natural cues to push and with the help of a ventouse and a little cut, Jackson entered the world and I felt the most relief (and burning pain) I've ever felt. Seriously, after twenty hours (actually - probably any amount of time), there is nothing better than feeling your baby come out and being able to just finally rest. And of course, give them a cuddle and look at them for the first time! And there we have it. It was a crazy experience, one that I'm not too keen to go through anytime soon but an incredible one regardless. Recovery has been okay - it is a bit overwhelming dealing with a new born when you can hardly sit down, don't want to poo and barely walk but I'm feeling a whole lot more like myself now. And we get to finally enjoy our wee man so really, there can't be much better than that huh?